I shall now close my eyes, I shall plug my ears, I shall close all my senses, I shall even erase from my thoughts all images of physical things – or at least, because this can hardly be done, I shall consider them as being empty and false. Thus conversing only with myself and closely examining my nature, I shall try to obtain step by step a deeper understanding of myself. René Descartes (1596-1650), Meditations on First Philosophy, 1641, 'Meditation III'. 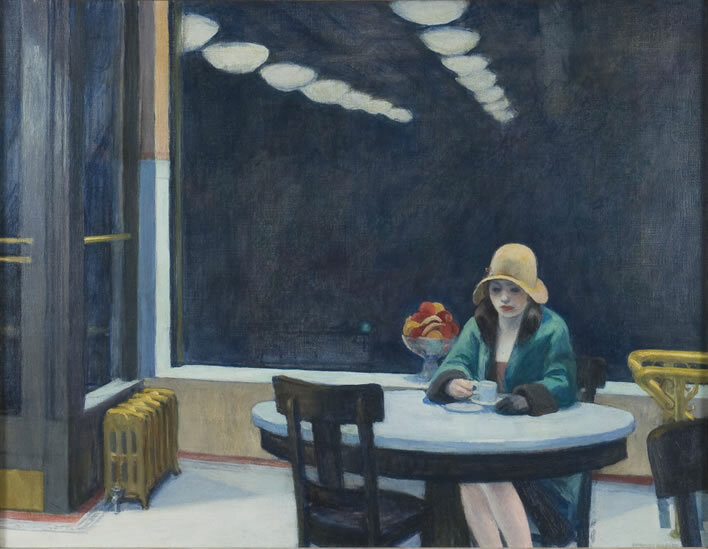 Edward Hopper (1882-1967), Automat, 1927. Image: Des Moines Art Center.